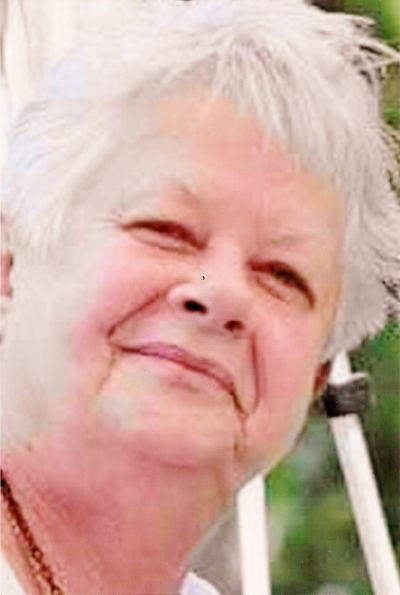 Nancy Kay Parham, 73, of Westminster, Maryland died on Tuesday, April 2, 2019 at home surrounded by her family. Born on April 26, 1945 in Laytonsville, MD, she was the daughter of the late Edwin Downs, Sr. and Beulah Frances Downs. She was the wife of the late Phillip Reeves Parham. Nancy was a graduate of Wheaton High School and attended nursing school. She was a R.N. with Carroll Lutheran Village and then worked as the kitchen manager of Thunderhead Bowl in Taneytown. She enjoyed crocheting, window shopping, traveling, watching Westerns and listening to country music. She enjoyed spending time with her grandchildren and great-grandchildren and her pet cat “Moe”. Surviving are daughters, Kimberly Bollinger and husband Brian of Gettysburg, PA, Phyllis Renie Darden and husband Bryan of Fayetteville, NC, and Trish Nusbaum and husband Brad of Westminster, MD; grandchildren, David Bollinger, James and Whitney Carlyle; great-grandchildren, Carson, Orry, Braxton, Dawson, and Grayson; brothers, Edwin Downs, Jr. and wife Ruth of Deltaville, VA, and Daniel Downs of Hartfield, VA; sisters, Patricia Reamy and husband Lee of Deltaville, VA, and Linda Downs of Boonsboro; brother-in-law, Rick Stull of Mt. Airy; and several nieces, nephews, great-nieces, and great-nephews. She was predeceased by infant son, William Downs; sisters, Joanne Hensley, and Donna Stull; and by a sister-in-law, Joyce Downs. The family will receive family and friends on Saturday, April 6, 2019 from 2:00 p.m. until the time of a Funeral Service at 4:00 p.m. at the MYERS-DURBORAW FUNERAL HOME, 91 Willis St, Westminster, MD. Private burial will be in Garrison Forest Veterans Cemetery in Owings Mills. Memorial contributions may be made to the funeral home to help the family with final expenses.